July 11th is National Blueberry Muffin Day so be sure to try out this great recipe and share with your family and friends! Tag us in your pictures on Facebook or Instagram so we can see your blueberry creations! 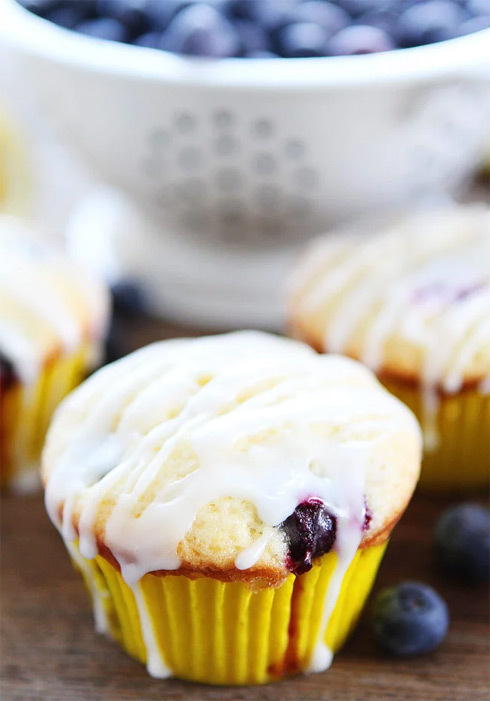 Although this is not our farm recipe for blueberry muffins these are very easy to make and can be made with your left over Southern Hill Farms blueberries! Preheat oven to 350 degrees F. Lightly grease a muffin tin with nonstick cooking spray or line with paper muffin liners. In another small bowl, combine sugar and lemon zest. Rub the sugar and lemon zest together with your fingers until fragrant. In the bowl of a stand mixer, beat butter and sugar together until light and fluffy. Add eggs, vanilla, lemon juice, and milk. Mix until combined. Add flour mixture and mix on low until just combined. Gently stir in the blueberries. Divide batter evenly into 12 muffin cups. Bake for 23 to 25 minutes, or until a toothpick inserted into the center comes out clean. Remove from oven and let muffins cool on a wire rack. While the muffins are cooling, make the lemon glaze. In a small bowl, whisk together the powdered sugar and lemon juice. Drizzle the glaze over the muffins. Let the muffins sit until the glaze sets. Serve!